The decision for Saskatchewan Polytechnic to reduce its staffing by 42 people is driven by shifts in the labour market, as the institute tries to react with the sensitivity of a barometer to the economic climate, according to its provost and vice-president academic. "It's really important for us, and what we try to do, is really forecast where industries are going," said Anne Neufeld. She explained the polytech looks at graduates' employment rates and talks to industry partners to get a sense of where labour demands are falling, and where new needs, like innovation manufacturing, are emerging. "Nobody has a crystal ball, so I'd say it was a bit of an art and a science," she said. "We want to be agile — it's easier said than done." The polytech issued layoff notices last week to 22 employees, of which 17 were academic employees, while five were professional service employees. Neufeld said that represents one per cent of the polytech's workforce, across its Saskatoon, Regina, Moose Jaw and Prince Albert campuses. For the second year in a row, the college also offered its voluntary separation program, with 20 employees applying for and accepting, an offered buyout. 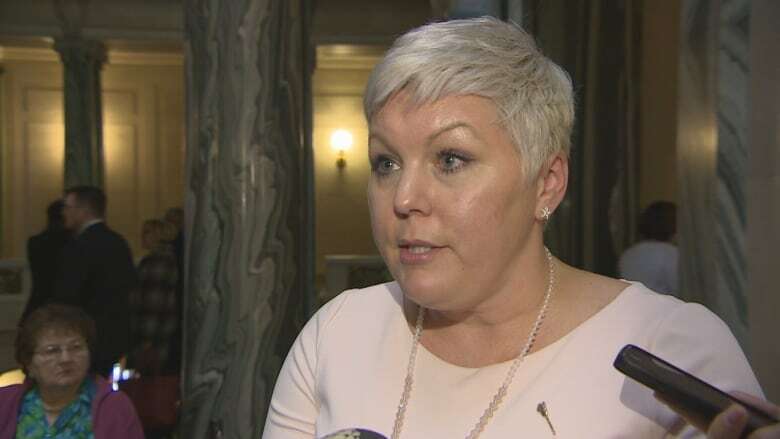 Minister of Advanced Education Tina Beaudry-Mellor said while the government is always concerned when people lose their jobs, she said the institute is always making adjustments based on needs. "I think it's wise stewardship on their part." She said that fields affected include job training for pipe fitters, plumbers, welders and electricians, employment that's been heavily driven in more recent years by the energy industry. When the energy sector begins to rebound, she predicted those seats would open up again. Beaudry-Mellor praised the institute's relationship and dialogue with industry members. "I think that's one of the reasons why they can be nimble in the face of changes in the labour markets and I think that's why 90 per cent of their students have jobs upon graduation." Other post-secondary institutes such as the University of Regina have warned of potential layoffs and possible tuition hikes, while the University of Saskatchewan has already introduced a 4.8 per cent tuition hike. NDP leader Ryan Meili said that education was not only a way for individuals to improve their job prospects, but was key to economic diversification to weather boom and bust cycles. "We're in a difficult economic time — that's not the time to cut back on university education." However, Neufeld said the current decision-making around staff layoffs was not directly linked to the provincial spring budget, in which the polytech received stable funding from the year previous. "These are really academic decisions we make, that are, in our view, are very critical to what a polytech is, and what we do, and how we respond to labour market needs, and ultimately how we serve our students."